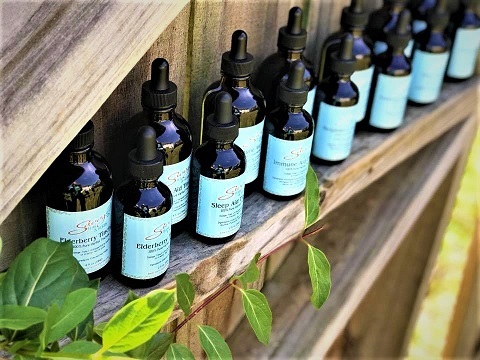 Herbal Tinctures are strong and potent. Through the process of extraction, the properties of the herbs are pulled into the medium, to make a very effective medicine. Tinctures are easy and convenient to use, and much less is needed to be effective, in comparison to a tea. Also the body will react quicker to a tincture. Our tincures are made with our herbs which are never sprayed or irradiated!